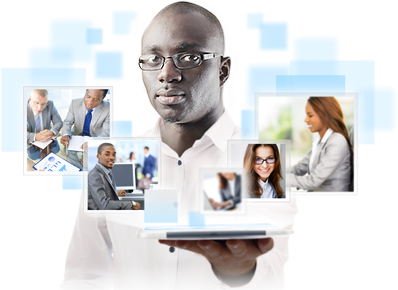 Amari Managed Services is a premier provider of business and technology managed solutions. Amari’s team includes 25+ years of experience in professional services, we hire the best and brightest. At Amari, we are passionate about exceptional service and implementing the best solutions for our clients. Amari can give you the freedom to focus on your business, contact us today to discuss your needs. Amari was established to create a difference in the Managed Services Industry and is based in Johannesburg, South Africa. Our solutions are designed for small to large enterprises whether local or international. We have become a trusted partner to Companies in South Africa, Zimbabwe, Zambia & Malawi. Co-founded by an experienced team of entrepreneurs, Amari is led by a team of recognized business and technology leaders with a proven track record of success. These visionaries are driving a talented team of Subject Matter Experts. As your strategic business partner, Amari allows your organization to run at peak performance levels by delivering a responsive, cost-effective channel for talent identification and acquisition. We work with our candidates to understand their unique skills and career goals in order to ensure a precise match. Whether you need to fill an entry-level or senior management position on a full-time, contract or interim basis, you’ll benefit from our commitment to quality and our unparalleled industry, functional and organizational expertise.